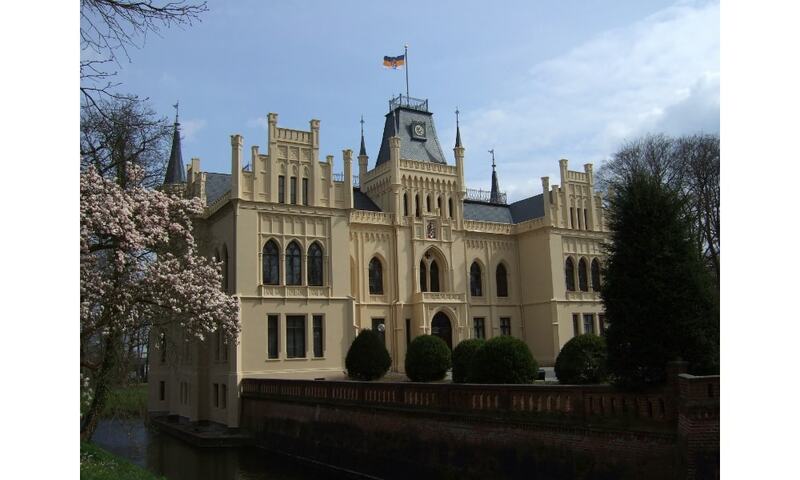 The Evenburg is a water castle in the village of Loga in north Germany, not far from the River Leda. By 2006 the Evenburg had been returned to its appearance in the mid-19th century. The neo-Gothic roof and many interior details were restored. It was opened in January 2007. The castle may be visited as part of a guided tours. The hall and the bastion host concerts and other events.